Being a business owner can be frustrating at times. You have to deal with customer complaints, financial difficulties, and a whole slew of problems that tend to arise from time to time, including property maintenance issues. Maintaining your property is important for keeping up the appearance of your building so that you make a good impression on customers. But property repairs can be expensive, time consuming, and frustrating. Especially if you have to deal with someone vandalizing the mirror in your building or property. Individuals with too much time on their hands a careless attitude can create damages that cost you thousands of dollars in repairs in a matter of seconds. And once you do replace your mirror or get it resilvered, what’s to prevent anything from happening to it again? Installing anti graffiti window film for your Kansas City property can help you save tons of money on mirror restoration. And they’re a solution that works long term too! Anti graffiti films are window films that are applied to surfaces to protect them from graffiti. 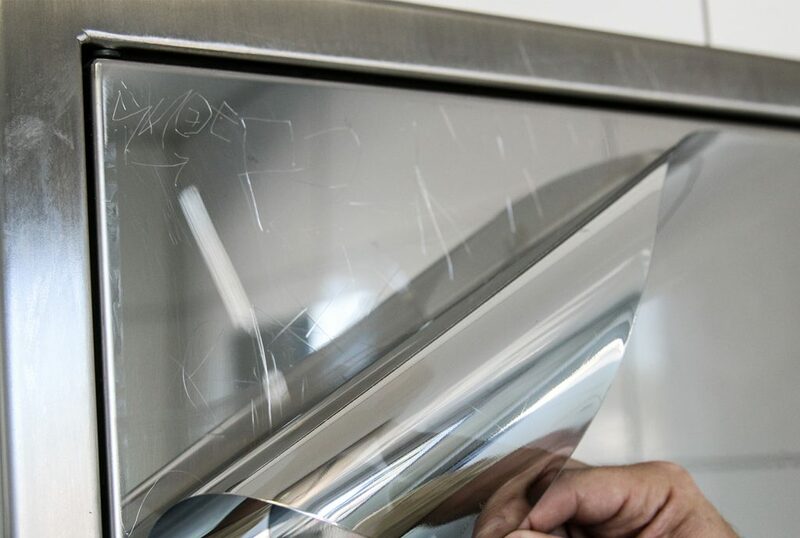 There are many types of anti graffiti films, but the most common one used for mirror restoration is Mirror Shield. On one side, the film looks just like a mirror, is shiny and reflective, and on the back side of the film are sticky adhesives that hold it in place. Property owners in Kansas City can install anti graffiti film to not only protect their business from vandalism, but also to make repairs to damages that have already happened. Mirror Shield films are very thick so they are excellent at hiding damage and once they’re installed, you can’t even tell that anything ever happened to the mirror. The process for installing anti graffiti film is relatively simple. The first step is to contact your local window film manufacturer and schedule an appointment. Once an onsite evaluation has been completed, you will have a better understanding of the expense of your project and what the timeline will be for the installation. Most of these films can be installed same day or during a one to two hour appointment. Then, once the film is allowed to dry and set, all repairs are complete. Don’t let graffiti ruin your business’ reputation. Restore your mirrors to brand new with window film. Call our office today to schedule an appointment for installation.